It is the hippocampus which receive afferent connections from following sources. From cingulate gyrus: Afferent fibers from cingulate gyrus curve round downwards and backward, and finally forward to reach hippocampus. From septal nuclei: These are nuclei lying in the midline close to anterior commissure. Fibers pass via fornix to reach hippocampus. Fibers from opposite hippocampus: Fibers from one hippocampus reach another hippocampus. These fibers pass through posterior column of fornix backwards. Reaching the junction between posterior column and body, instead of continuing forwards to the body, the fibers cross the midline through posterior column of fornix of opposite side to reach contralateral hippocampus. These fibers are called commissure of fornix or hippocampal commissure. Fibers from indusium griseum: These fibers form lateral and medial longitudinal striae. Hippocampus receive these fibers as axonal process of neurons of indusium griseum which is considered as vestigial part of limbic cortex. Fibers from olfactory associated cortex: These afferent fibers are received by hippocampus from anterior part of parahippocampal gyrus which is also called entorhinal area. Fibers from dentate gyrus and parahippocampal: Gyrus pass to the adjacent hippocampus. Efferent connections from hippocampus are axons of pyramidal cells lying in intermediate layer. The efferent fibers first lies in subependymal plane as alveus. The fibers of alveus converge to form a white band known as fimbria. Fimbria continues posteriorly as posterior column of fornix. Posterior column from both sides curve upwards and forwards around posterior end of thalamus and join together to form body of fornix. Body of fornix divides into two anterior columns which pass downwards and forwards in front of interventricular foramen of Monro. Next at the level of anterior commissure it divides into two limbs called postcommissural and precommissural roots running posterior and anterior to anterior commissure respectively. Fibers of these two roots end as efferent fibers of hippocampus in following destinations. Efferent from mammillary body further proceeds to anterior thalamic nuclei via mammillothalamic tract. Hippocampus is the prime central component of limbic system. 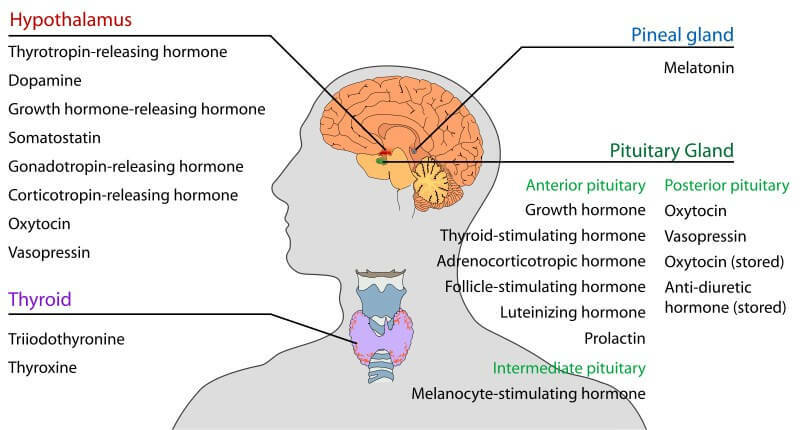 But through the outlet of hypothalamus, hippocampus acts as a center for integration for autonomic (visceral), endocrine and emotional activities of an individual. Hippocampus plays an important role for recent memory. Earlier it was regarded as part of olfactory system, but it does not possess direct relationship with this function.